A classic drawing is an artwork created from lines or areas of tone created with a drawing instrument such as a graphite pencil, charcoal, colored pencil, silverpoint, eraser, dry pastel, or another dry medium on a piece of paper. In a broader definition of the term, a drawing is a two-dimensional artwork created from lines or tone that is dominated by a dry medium but can include wet mediums such as ink, and washes of paint. At its most basic, drawing is simply about leaving a visible mark with a tool. A burnt stick was one of the first drawing tools, used in primitive cave paintings in locations such as Lascaux. Children begin to make marks as soon as they can hold a crayon. Drawing is the outward physical manifestation of the inborn urge to create and communicate and is a basic skill used in all the visual arts and design. In recent years, with artists experimenting more with methods and materials and mixing different media, the distinction between drawing and painting is often blurred. You can draw with a paintbrush, and you can achieve painterly effects with drawing media such as water soluble crayons and pencils. 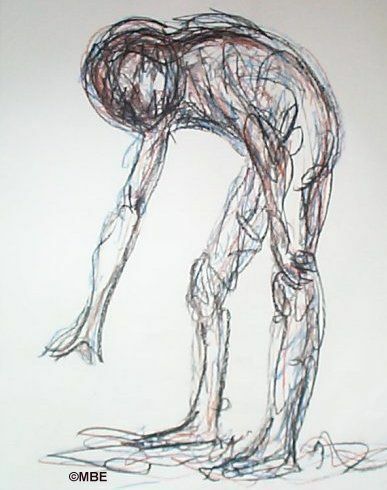 Generally, a drawing is considered to be a work of linear marks or tones on paper, regardless of the actual medium or technique, but the act of drawing can occur on any support, and drawing is an important part of painting, whether you paint representationally or abstractly. 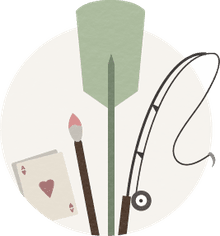 Just as there are different types of painting, there are also different types of drawing, ranging from more representational to more abstract. They can be broken down into three different types: realistic, symbolic, and expressive modes of drawing. Realistic drawing is what most people in Western cultures think of when they think of drawing - capturing what we see with our eyes and representing the three-dimensional world onto a two-dimensional surface using the elements of art such as line, shape, color, value, texture, space, and form. People have long valued the ability to be able to reproduce through drawing their environment and surroundings, and this is how drawing is generally taught. Many artists keep sketchbooks for that purpose, either as studies for bigger works and paintings or as finished artworks in their own right. Indeed, this is an important type of drawing and involves learning how to see and how to accurately transfer what you see onto a two-dimensional surface. There are many excellent books that teach a student how to see and how to draw. Betty Edward's book, Drawing on the Right Side of the Brain (Buy from Amazon) is one of them, as is Bert Dodson's, Keys to Drawing. Symbolic drawing is actually much more common than you might expect. If you can write your name you are using symbolic drawing. The letters or marks you make stand for your name. Paul Klee (1879-1940) was an artist who used a variety of symbols–a shorthand notation of lines, marks, or shapes that stand for something else–in his paintings and drawings. You can create your own symbols and use them within a composition. Symbolic drawings can still be recognizable as the object or event they represent but in a simplified, more graphic form. Expressive drawing often communicates ideas or emotions that are not visible or tangible. Expressive drawings may capture movement and energy, feelings, memories, or even the spiritual realm. Gesture drawings can be quite expressive, capturing the energy of a figure's movement, or the delicate motion of a flower. The distinction between these different types of drawing is not always distinct and a single drawing can incorporate any or all three of these modes. For example, a gesture drawing, while being representational might also be quite expressive - but one mode will generally be dominant. There are many uses for drawing. Drawing is a form of communication that preceded writing and that continues to serve as another form of communication. "Drawings can do amazing things. They can tell stories, educate, inspire, reveal, entertain, and inform. They can describe appearances, offer commentary, convey drama, and relate history. Arrangements of line and mark can speak of things visible, imaginary, and even invisible. "(1) Furthermore, from concept to completion, drawings are the mainstay of all things designed by humans, from the things we view onstage or in theaters, to the objects and buildings of the actual world in which we live. The drawing process, itself, is meditative, enriching, and edifying. When you are drawing something you become absorbed in the process of drawing, and come to know your subject through truly seeing it. Aimone, Steven, Expressive Drawing: A Practical Guide to Freeing the Artist Within, Lark Books, NYC, 2009, p. 11. Mendelowitz, D. et al. A Guide to Drawing, Seventh Edition, Thomson Wadsworth, Belmont, CA, 2007. What Does 'Medium' Mean in Art? How Can You Draw a Classic Cartoon Tough Guy?